It has been a lovely month so far and I was treated to a long Bank Holiday break in the caravan. 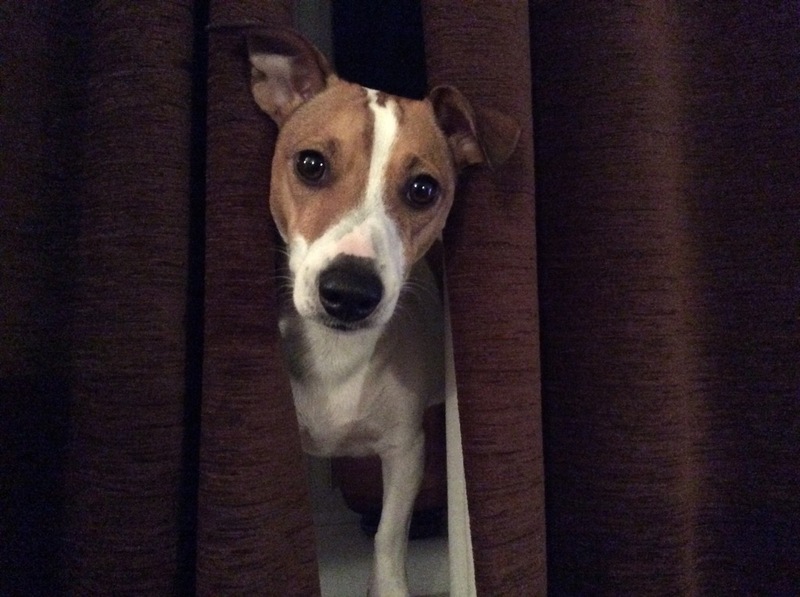 Its great just like a big dog kennel on wheels, there is nothing better than sitting at the front window watching the world go by. We had beautiful weather and managed two big walks on the Friday and Saturday before the sun was too hot to walk in and it was more sensible to sit in the shade. 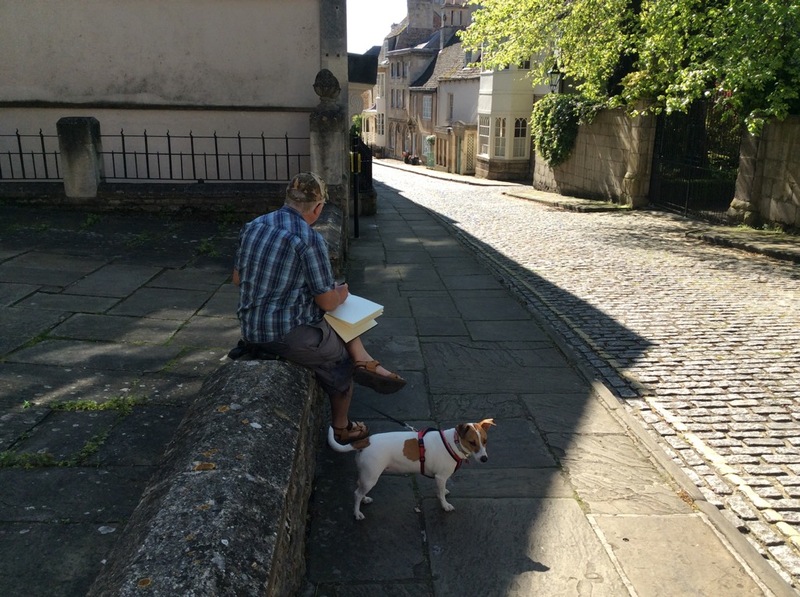 On Sunday morning we got up early and had a wander around Stamford, as my Master wanted to do some sketching and there was also an art exhibition that was nice to wander around. The Bank Holiday Monday forecast was hot and sunny, so again an early start was needed, our destination was only in the next village to an Open Day at "Rocks by Rail" It is a railway museum, workshop, cafe and railway track dedicated to the ironstone trains that operated from the quarry on the site many years ago. It is well worth a day out and if you are reading this months blog Mr David Wright, it was fab ! 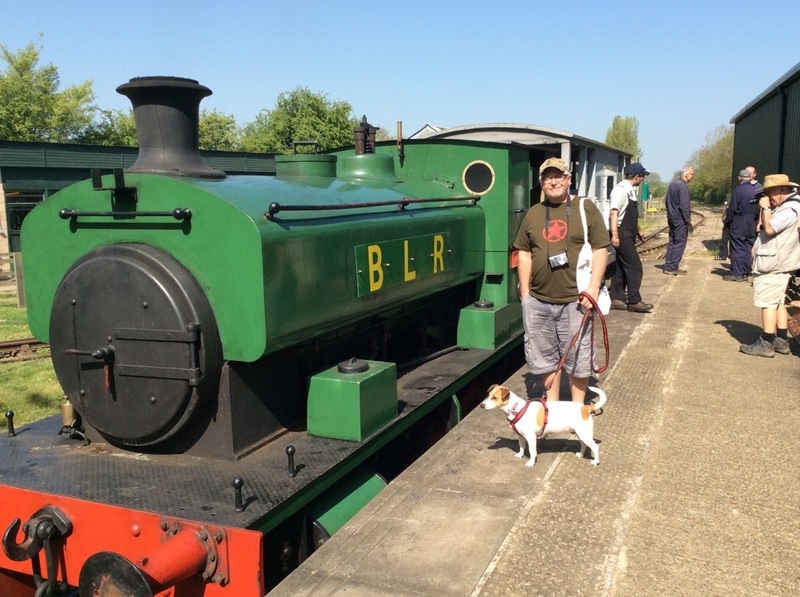 We had a ride on the Rutlander steam train and sampled delicious bacon rolls and cake in the cafe. 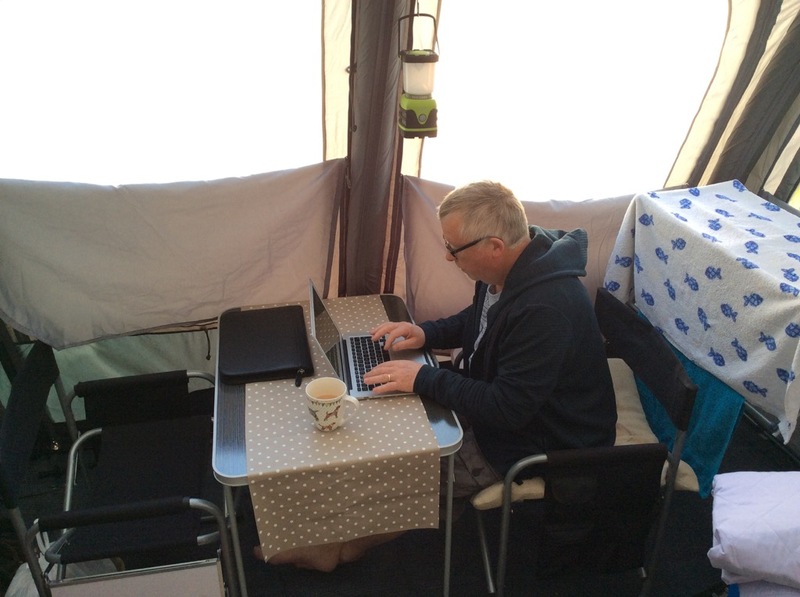 My Master was busy over the holiday writing his latest article for the Leisure Painter magazine.. such dedication I must tell his Editor Ingrid, you can see him hard at work in the caravan awning on the photo below. Talking of Editors the Master has been very busy recently with his Search Press Editor Beth, finalising the last parts of the forthcoming oil pastel book. You may have read in previous blogs how excited I am to see this book when its released in December. The very latest exciting news is that the book is also going to be published as a Chinese edition… I wonder how you say Freyja in Chinese !! Well; I must sign off now, its time for a snooze, as I had a very energetic walk this morning with my new neighbour Olive, a chocolate labrador puppy. See you next month when all the news will be of the preparations for the Patchings Art, Craft and Design Festival held from July 12 to 15, see the Patching page for more details. Enjoy the photos below of our holiday.